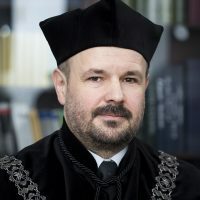 Jerzy Ostapczuk (born 12.04.1974 in Bialystok) graduated from the Theological Faculty of the Christian Academy of Theology in Warsaw (Master of Arts in Orthodox theology). He was a scholarship holder at the Universities of Thessaloniki (1998) and Athens (1999), Vrije University in Amsterdam (1999-2000) and Ohio State University in Columbus (2008). He conducted research in libraries and special collections (on manuscripts and early printed books) in archives, libraries and museums in Armenia, Belarus, Bulgaria, Montenegro, the Czech Republic, Egypt, Greece, Georgia, Israel, Russia, Romania, Serbia, Slovakia, the Ukraine, the United States and Poland. He was a scholarship holder of the Foundation for Polish Science – Kwerenda 2010. Since 2016 he has been Dean of the Faculty of Theology and since 2017, head of the Department of the Holy Scriptures of the New Testament and acting head of the Department of the Holy Scriptures of the Old Testament at the Orthodox Department of the Faculty of Theology. Between 2011-2017 he was Secretary of the Editorial Board of The Theological Yearbook. He is the author of two monographs and nearly 50 scientific articles.